We are now looking forward to this Saturday’s AAMF ‘Young Hands & Voices‘ concert. Yaremi Alvarez, (photo), is organising this concert for the third time. 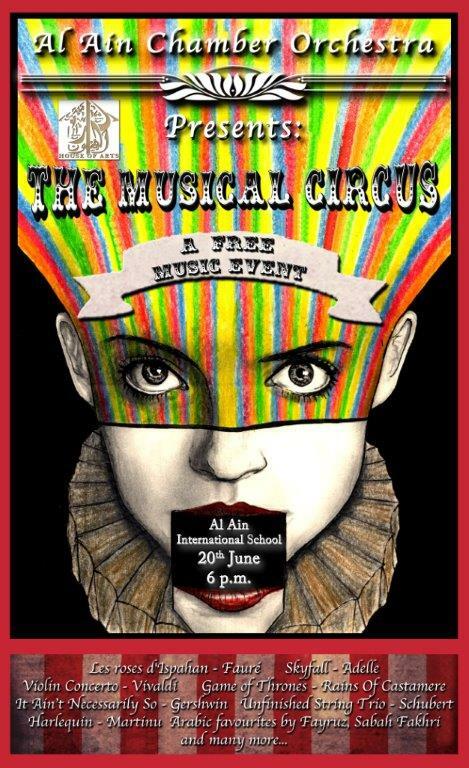 Students and teachers of Al Ain International School AKA Al Dar Academies will be performing a varied Programme. 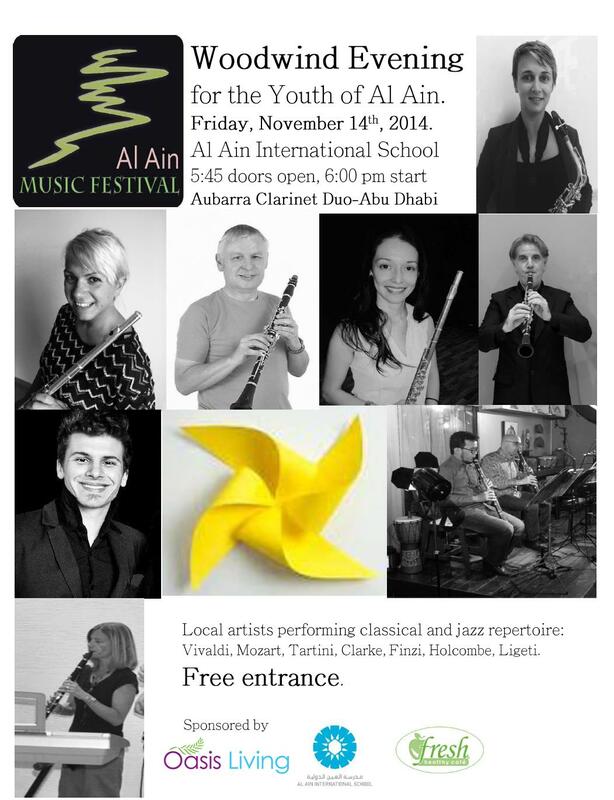 This year, in addition to our Al Ain student’s performances, we will have the opportunity to listen to a group of music students from Dubai Newlands school , participating in Al Ain for the first time. 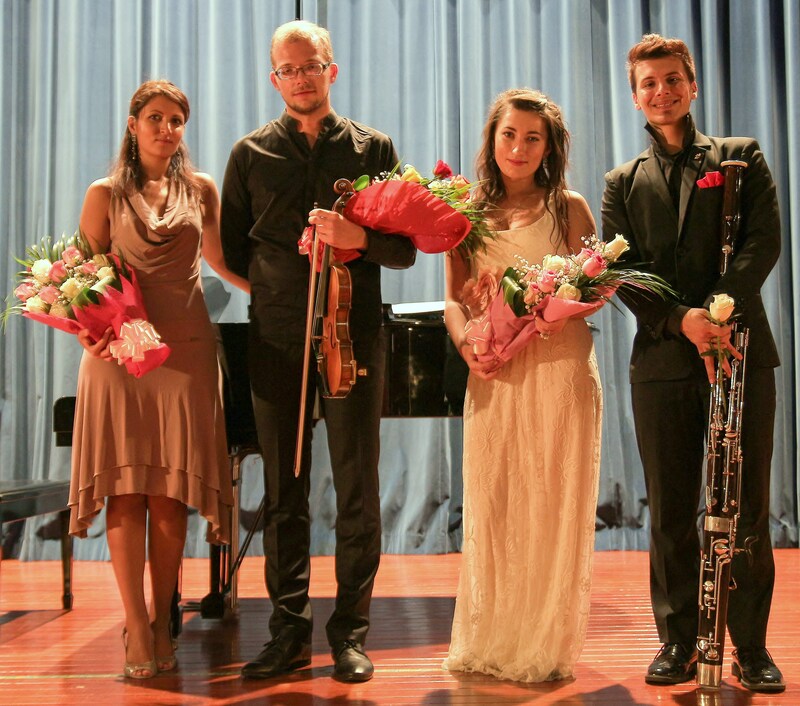 Special thanks go to all of the hard working music teachers that have prepared and inspired our performers, to Al Ain Academy – https://www.alainacademy.sch.ae/en/home – for sponsoring this event; and to the team at La Dolce Vita venue for hosting us; and for always supporting music and arts in the local community. Get ready for another musical extravaganza. This free concert starts at 6pm on Saturday, 26th January at La Dolce Vita venue – www.ladolcevita.ae . 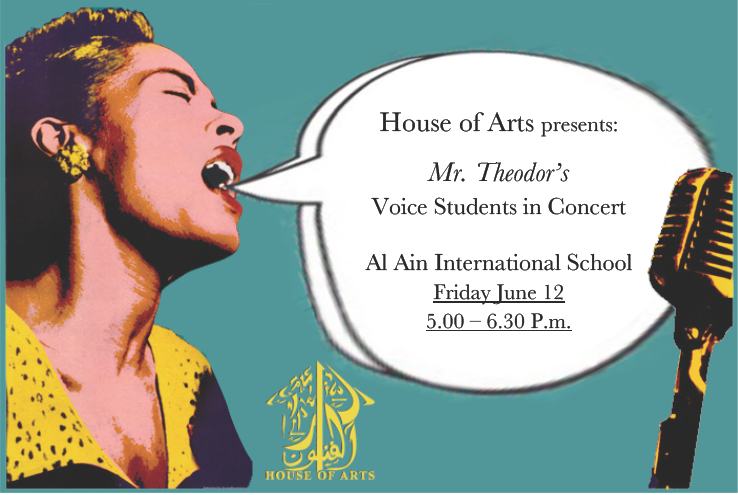 Theodor Iliescu‘s Voice students from the House of Arts will perform this Friday, 12th June, from 5 pm at Al Ain International School‘s theatre. 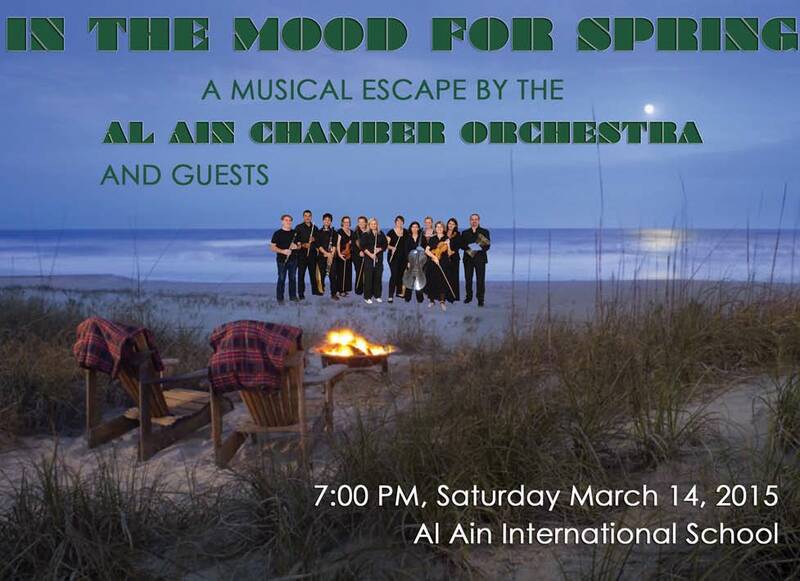 Al Ain Chamber Orchestra perform their Spring Concert this Saturday, 14th March at the Al Ain International School along with some guest performances. The concert starts at 7 p.m., and admission is free. “The Woodwind Evening” is a special opportunity for youngsters to learn about the various attributes of the woodwind family of instruments. As you can see on the flyer, (photo), a fine array of talented musicians and music teachers will demonstrate the features of their chosen instruments whilst performing classical and jazz pieces. Please note the early start time of 6 pm on Friday, 14th November. This is sure to be one of the festival’s most popular events, so don’t be late! 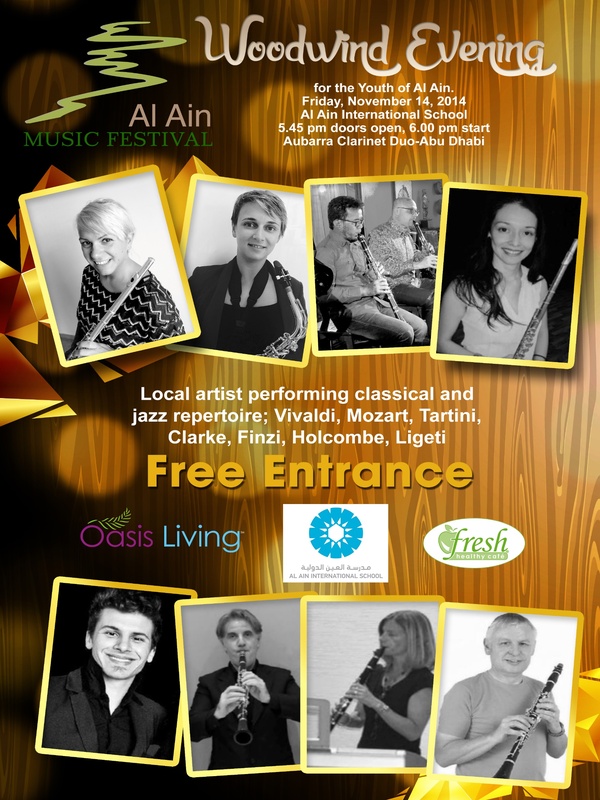 Our thanks go to Aldar Academies for hosting this free concert, and to fresh Healthy Cafe – now with a cafe in Bawadi Mall – for their sponsorship support for this concert, too. The Musical Circus has arrived! Roll up, roll up! from the smoky New Orleans jazz-club to the hot sultry soundtracks of Hollywood…. 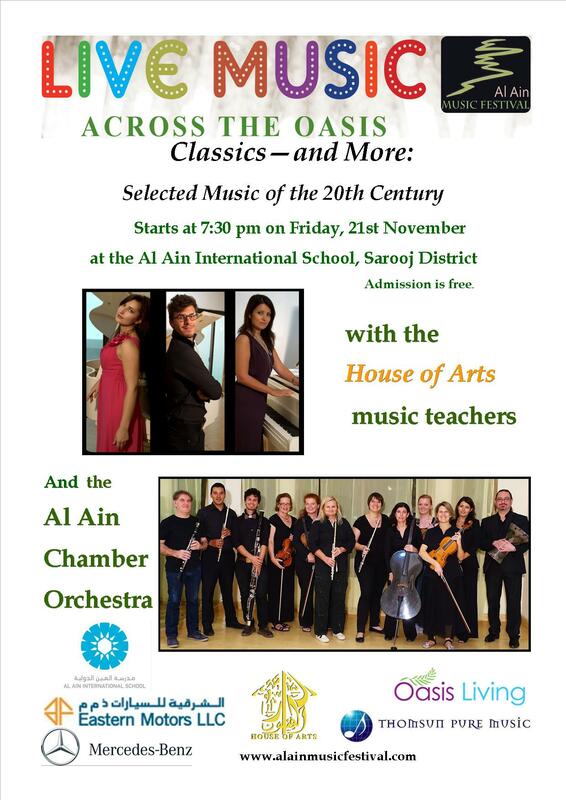 This free concert will be held this evening –20th June– 6 to 8 p.m..
the AAIS and the House of Arts. 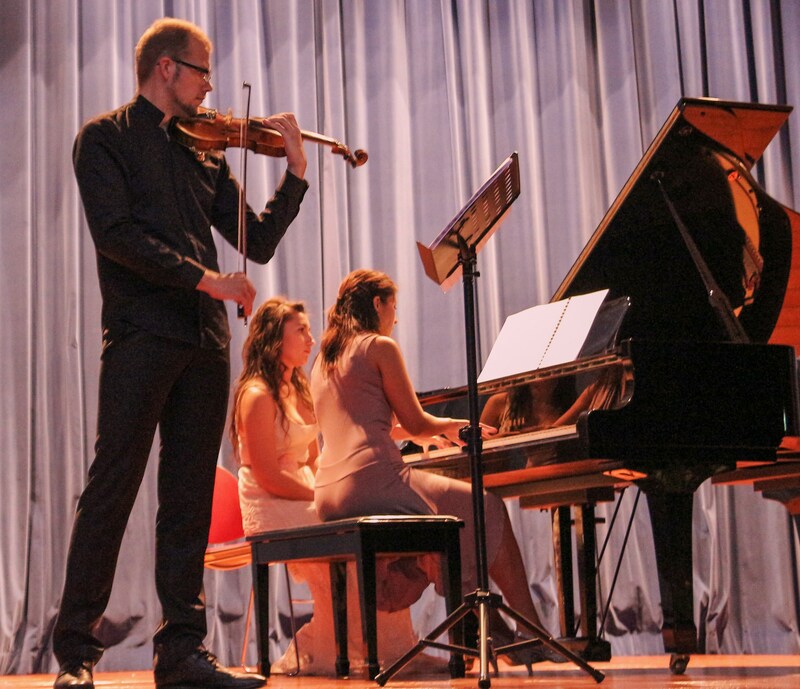 This summer the House of Arts‘ “End of Year Concert” will feature works by Mozart. 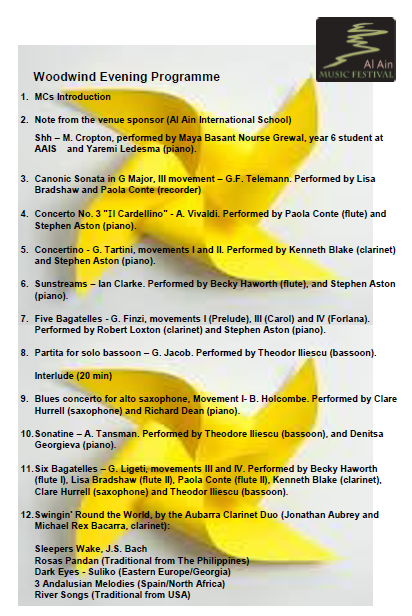 The ‘A Date with Mozart‘ concert will be held on Friday, 13th June from 6 pm. 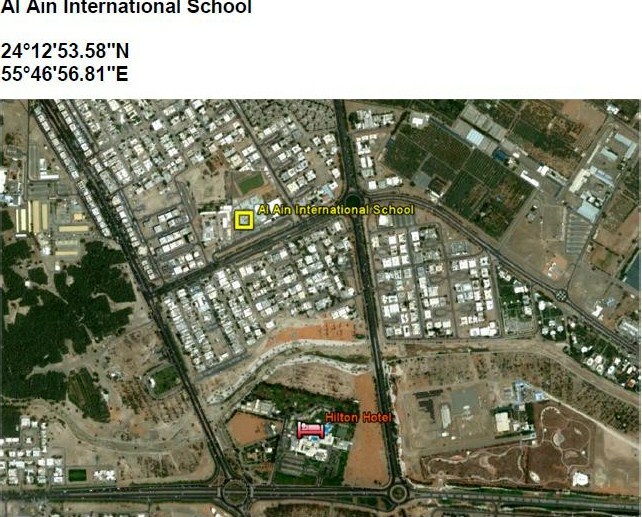 at the Al Ain International School (see map). Tickets are just AED.30 for adults and AED. 15 for children.